#ActToChange is hosting its Asian Pacific American Heritage Month Celebration to talk about how we can fight bullying in our community! 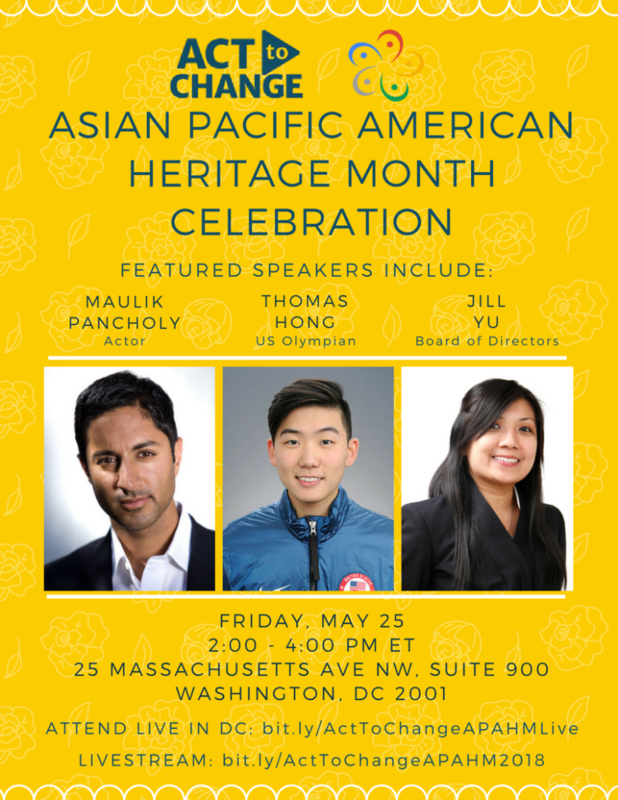 The event will be held on Friday, May 25 from 2 – 4PM at the Google DC Office. We especially encourage K-12 youth to attend. During the event, #ActTochange will announce exciting project launches including opportunities to engage in bullying prevention efforts through new programs and initiatives.